Every creature is born with instincts that allow it to survive. We use our intuitive and psychic abilities every day to “read” our environment to see if “is it safe”. We are doing “readings” for others and ourselves; as to how can we improve our lives. Every culture that we have studied has shown an interest in spirituality. We have “enlightened beings” who have and continue to tell us that Spiritual Enlightenment exists and an endeavor worth our pursuit. Our psychic, intuitive abilities are part of our soul body, higher self, they are a natural part of who we are. They help us to make better decisions, better choices in our lives, and to have a direct connection to the Divine. 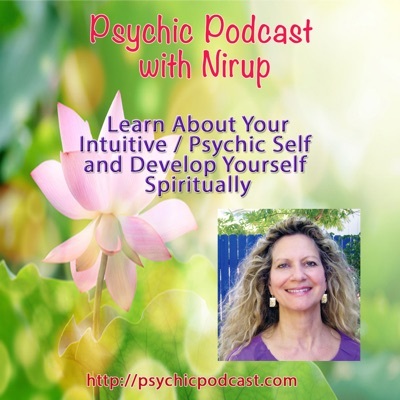 In developing your intuitive psychic abilities you will learn the different ways of tuning into your subtle senses of seeing, hearing, knowing, sensing. At the deeper part of who we are, we all have an inner knowing. How many times in your life, have you heard yourself say, “I had a gut feeling”, “an inkling”, an “intuitive thought” or heard “I just knew”. In working with the Intuition and Your Inner Knower Process, you will learn how to become more intuitive and if you so desire to take it further and become more psychic. At the core of our intuition is our Inner Knower, learn to tap into now, it can change your life. Why get in touch with your ‘Intuition and Inner Knower’. The ‘Sedona Inner Knower Process’ intuitive development training provides the keys to understanding, tapping into and using your intuition and inner wisdom. This simple yet powerful technique the ‘Sedona Inner Knower Process’ was created by Nirup while working with thousands of clients over 22 years. You too can gain clarity and create change in any area of your life with these simple keys. The ‘Sedona Inner Knower Process’ is the solution to many of your life’s questions, problems, concerns, and difficulties. Helps you overcome self-limiting, self-defeating or sabotaging beliefs that prevent you for being successful in areas of your life. To sum up, the ‘Inner Knower’ ability can let you know ‘What to Get’ and ‘What to Avoid’. I wanted to share my insights that have been unfolding since I have been using the Inner Knower Process. I automatically recognized what you had been saying about me being, STUCK IN THE PAST. Every time I would try to use a keyword phrase to help me move forward into releasing, I would push myself back into the past. WOW! Glad I was able to see what I had been doing all these years as I honestly had NO idea. Nirup I just can’t thank you enough, wanted to let you know that since we had our session with the Inner Knower technique, I have finally been able to focus on my readings and PhD work. In fact, the past 5 days have been my most productive ones this summer. I have plowed through some long papers, summarized them and worked actively on the draft of a publication for a scientific journal in addiction. Much less stress and a lot more focus. It is easier to see myself write my comprehensive successfully now! Let me ask you. — What do we want out of life…or better yet, what do you want out of life? Things like: good job, good career, intimate relationship with a husband or a wife, or boyfriend or girlfriend, to be healthy, to do interesting and rewarding projects, to be creative, to be of service to others, to be on a spiritual path or become more spiritual, to learn new things, to travel, to earn more money, to be happy, to be entertained, etc. To sum up briefly, we all want to do something that is important, meaningful, beneficial and rewarding to us, and others. Right? How do you get what you just said, what you want in life? Things like: family support, school or education, friends, business associates, job or career, language, being creative, good ideas, passion, following our dreams or goals, etc. Overall, is it our intelligence that gets us what we want? Our Intuition and Inner Knower is part of our higher intelligence.